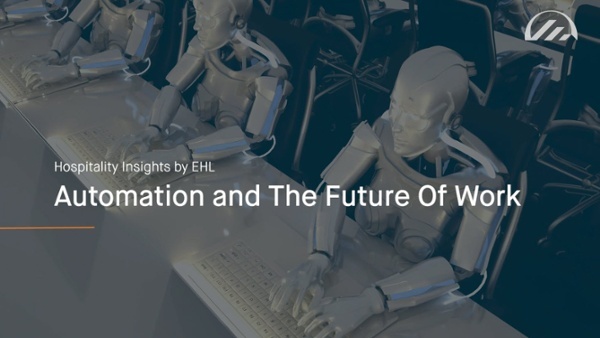 The Future of Work: according to futurist Gary Bolles robots and softwares don't take jobs, they take tasks and there is tremendous opportunity to use technology to make us better. In the view of futurist and ‘recovering journalist,’ Gary A. Bolles however, we shouldn’t just focus on the negatives. We should look at these developments as an opportunity. “Robots and software don’t take jobs, they take tasks,” he told Hospitality Insights following a keynote address to EHL’s international advisory board. For humans, work means three things: solving problems, performing tasks, and using our skills. If we think differently about our skills and the kinds of problems we like to solve, we can continually look for the kinds of problems that robots and software can’t perform. We actually can do more creative tasks that require more collaboration between people. As we transition to a digital work economy, educational institutes should be looking to provide lifelong learning rather than a chunk of education early in our lives. It will involve the ‘unbundling’ of work to provide dynamism and flexibility. Interview with Gary A. Bolles, internationally-recognized expert on the future of work and the future of learning. Gary A. Bolles is the Chair for the Future of Work for a think tank called Singularity University.